3 DAYS left to apply or re-apply for the Kurt Caselli Scholarship! TEMECULA, CA (MAY 22, 2018) — Next week the Kurt Caselli Foundation (KCF) will be sitting down to select the recipient of the Kurt Caselli Memorial Scholarship for the 2018 Fall semester. The last day to apply for the Fall 2018 Scholarship is Friday, May 25th, 2018. Now is the time to apply for the Scholarship, visit www.KurtCaselli.com/Scholarship to start your application. It's free and easy to apply! Did you previously apply for the Kurt Caselli Scholarship in past semesters? You may re-apply! We have so many qualified candidates, sometimes it's hard to pick just one per semester. (Note: We will not go through dated applications unless otherwise noted.) Please email Lindsey@KurtCaselli.com with any Scholarship application questions, concerns or issues. Last year at the Kurt Caselli Ride Day, the Foundation awarded Brendan Crow the Spring 2018 Scholarship which will support him in his journey to earning a Bachelor's in Cyber Security at CSU San Bernardino. 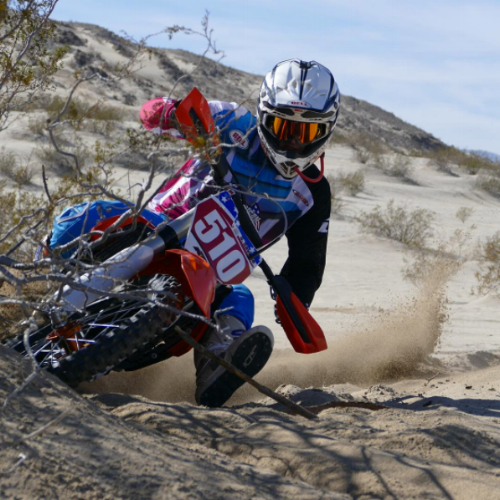 Brendan is an expert/Pro rider, AMA District 37 Officer, and his 2018 plans include racing the AMA ISDE West Qualifier Series, D37 Enduro Series, select D37 Desert and Grand Prix Series events as well as some REM events. Earlier in 2017, the KCF awarded Colorado State University student Luke Bender the Fall 2017 Scholarship to assist him in his major of Construction Management. Luke is very involved with various CSU programs including the mountain bike team, the United States Green Building Council Club and CM Cares. With CM Cares, Luke donates his time alongside other construction management majors to help people in the community with construction projects that they have such as handicap access to their homes. You can find Luke racing AA Pro in the Rocky Mountain Enduro series, Colorado Off-Road Championship series and select EnduroCross Series events. Our mission is protecting and supporting the lives of off-road riders. The Kurt Caselli Scholarship will support one current or former racer with a scholarship gift of $2,500 for the upcoming Spring 2018 semester. We are looking for applicants who embody perseverance, integrity, generosity, commitment, humility, and professionalism-all the same character traits that Kurt Caselli exemplified on and off the motorcycle. Candidates must submit the online scholarship application form at http://www.kurtcaselli.com/scholarship/ . $2,500 scholarship award will be given to the winning candidate. The deadline for spring semester applications is May 25th, 2018. Recipients will be announced at the 5th Annual MotoDoffo event benefiting the Kurt Caselli Foundation . Application must be filled out in its entirety for acceptance. Interested in applying for the scholarship? Less Than 2 Weeks Away! Apply for our Spring 2018 Scholarship now. In less than two weeks, the Kurt Caselli Foundation (KCF) will be sitting down to select the recipient of the Kurt Caselli Memorial Scholarship for the 2018 Spring semester. The last day to apply for the Spring 2018 Scholarship is November 8th. Fall 2017 Kurt Caselli Memorial Scholarship Deadline Fast Approaching! MURRIETA, Calif. – The Kurt Caselli Foundation (KCF) is just days away from the Fall 2017 Kurt Caselli Memorial Scholarship gift deadline of May 1st. Whether you are a current or former racer, this is your chance to further your education with assistance from the Foundation that was created in Kurt’s memory. 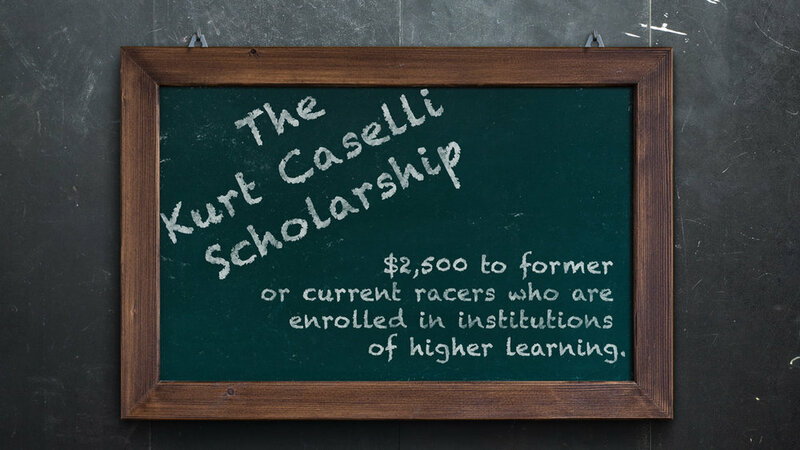 The Kurt Caselli Memorial Scholarship was created to award gifts of $2,500 to two current or former racers who are currently enrolled in institutions of higher learning. The KCF is looking for applicants who embody perseverance, integrity, generosity, commitment, humility and professionalism – all the same character traits that Kurt Caselli exemplified on and off the motorcycle. The deadline for fall semester applications is May 1, 2017 and recipients will be announced no later than June 30, 2017. The deadline for spring semester applications is November 1, 2017 and recipients will be announced no later than January 30, 2017. How to apply? Log onto www.KurtCaselli.com/scholarship to start the online application process. Kurt Caselli Memorial Scholarship winner Starr Savage is currently focused on his graduation from SDSU this May and will soon return to racing various WORCS and Big 6 GP races while continuing towards graduate school. In 2016, the Kurt Caselli Foundation selected Starr Savage and Rachel Gutish to receive The Kurt Caselli Memorial Scholarship gifts. Fall 2016 recipient Starr will be graduating from San Diego State University in May with a B.S. in Kinesiology with an emphasis on Physical Therapy and will continue working at Rehab United Physical Therapy before applying for applying to graduate school. Currently, Starr is recovering from surgery on a torn ACL before he will return to racing various WORCS and Big 6 GP races. 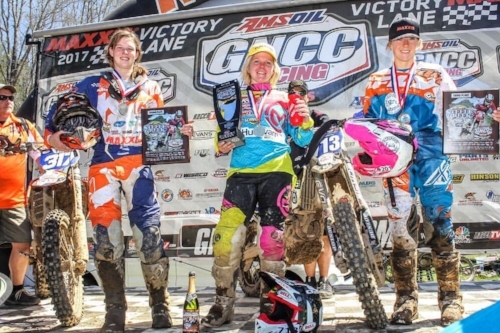 Spring 2017 recipient Rachel is racing GNCC, EnduroCross and various rounds of non-conflicting Full Gas Sprint Enduro series while she is attending DePauw University as a full time student. She is majoring in Psychology with a double minor in Pre-Law and Business Administration. Both Starr and Rachel show characteristics that remind the Foundation of Kurt’s devotion to the sport and importance of education. For more information on The Kurt Caselli Memorial Scholarship or to apply, please visit www.kurtcaselli.com/scholarship/. MURRIETA, Calif. (February 3, 2016) - The Kurt Caselli Foundation (KCF) is pleased to announce an all-new online application process for The Kurt Caselli Memorial Scholarship through the www.kurtcaselli.com website. The Kurt Caselli Memorial Scholarship was created to award gifts of $2,500 to two former racers who are currently enrolled in institutions of higher learning. The KCF is looking for applicants who embody perseverance, integrity, generosity, commitment, humility and professionalism – all the same character traits that Kurt Caselli exemplified on and off the motorcycle. The deadline for fall semester applications is May 1, 2016 and recipients will be announced no later than June 30, 2016. The deadline for spring semester applications is November 1, 2016 and recipients will be announced no later than January 30, 2016. The Kurt Caselli Foundation would like to congratulate Ryan James Green and Gregory Folkema for being selected as the first-ever recipients of The Kurt Caselli Memorial Scholarship in 2015.